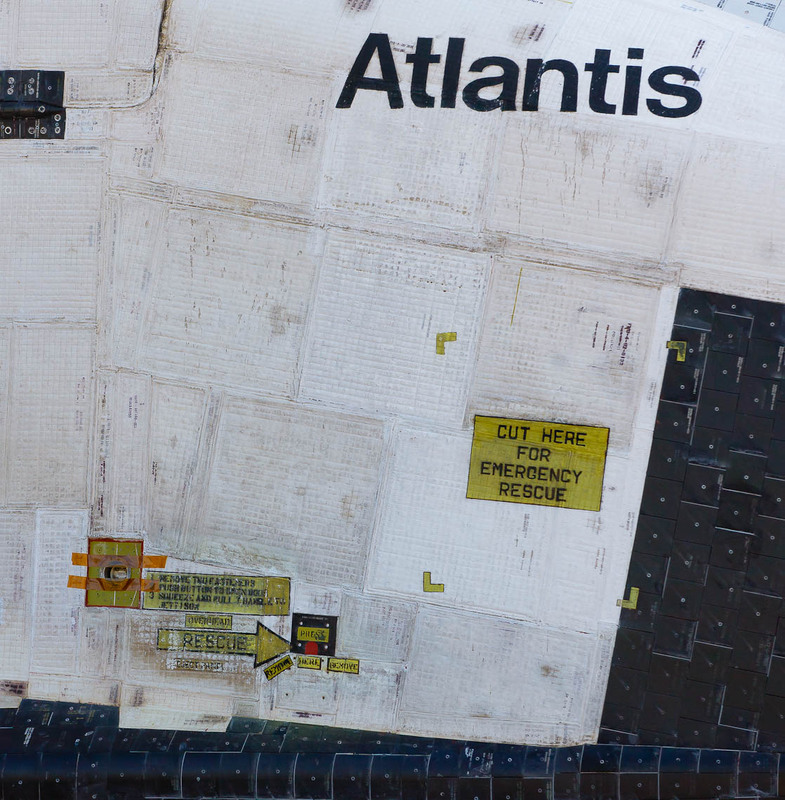 Tiles on the outer sirface of space shuttle orbiter Atlantis are weathered from thirty-three missions into space, totaling 307 days in orbit and 125,935, 769 miles traveled over the course of 4848 orbits around the Earth. The Atlantis' first mission was on October 3rd of 1985 when it carried a Department of Defense payload aloft. Atlantis visited the Russian Mir space station seven times before making its first trip to the International Space Station in May of 2000.